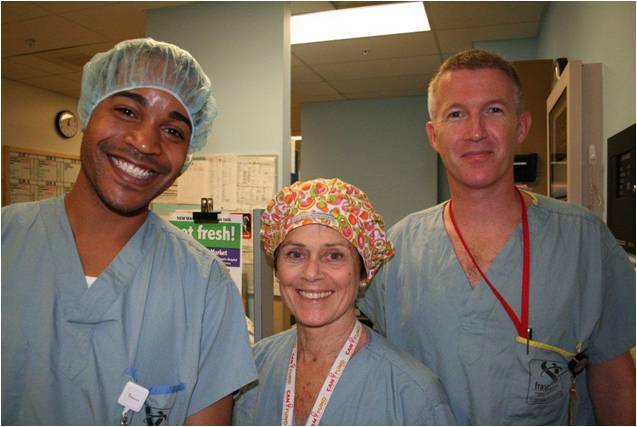 Each year, clinical staff working in the Perioperative Suites at BC Children’s hospital report upwards of 500 safety events in BC PSLS. A significant number, but Warren Hill, the Quality & Safety Leader on the Unit, believed it wasn’t the full “safety” picture, and began to explore some of the most common barriers to safety event reporting. Warren and the BC PSLS staff went to work designing a new ‘simplified’ form for Perioperative Suites, using a version of the BC Patient Safety & Learning System, then trialing it with surgeons, anesthetists, nurses, managers and allied health. The new form had fewer but more specific questions, allowing reporters to focus on What happened? and What should have happened? A free text field allowed Reporters to share their comments in their own words with the option of requesting to be contacted by a Quality & Safety Leader after submitting an event, or after the follow-up was done. After several weeks, the trial was considered a success! Feedback from Unit staff showed that the brevity of the new simplified form was a strong motivator for reporting safety events in BC PSLS. Physicians were particularly impressed and reporting rates among this group increased by one-third in the first 60 days post- implementation. In addition, anonymous reporting decreased with two-thirds of all reporters requesting contact from a Quality & Safety Leader once the event was followed up, “closing the loop,” and improving patient safety on the Unit. It should be mentioned that there was some additional workload on the part of the BC PSLS Handler. Since the Reporter no longer classified the incident category, Warren was required to complete that portion on follow-up. But, there was also an upside – event classification was much more consistent. Excitement about the new simplified form in Perioperative Suites has spread throughout BC Children’s! A new ‘simplified’ form is now being trialed in Emergency. We have considered using a simplified form as well but the fact that you need to store the new form somewhere else other then the general form was an issue for us. I keep getting comments from physicians and others about the rather onerous form. What is the status of simplification? I would be glad to help with this.